The EMC1701 is a combination high-side current sensing device with precision temperature measurement. It measures the voltage developed across an external sense resistor to represent the high-side current of a battery or voltage regulator. The EMC1701 also measures the bus voltage and uses these measured values to present a proportional power calculation. 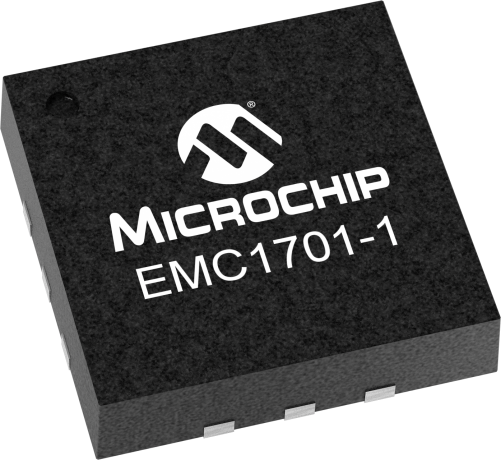 The EMC1701 contains additional bi-directional peak detection circuitry to flag instantaneous current spikes with programmable time duration and magnitude threshold. Finally, the EMC1701 includes an internal diode channel for ambient temperature measurement. Both current sensing and temperature monitoring include two tiers of protection: one that can be masked and causes the ALERT# pin to be asserted, and the other that cannot be masked and causes the THERM# pin to be asserted.